Learning how to use a minecart in Minecraft can be complicated at the beginning but once you grasp the basics, you will be able to operate one like a pro! Before we talk about how to properly ride and move the vehicle, let’s talk about how to make a minecart. 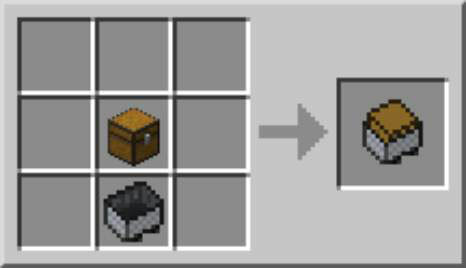 First off, there are various types of minecarts, each with their own unique recipes including: traditional iron, storage, powered, hopper, and TNT minecarts. Browse through the various slides to learn how to build each minecart. 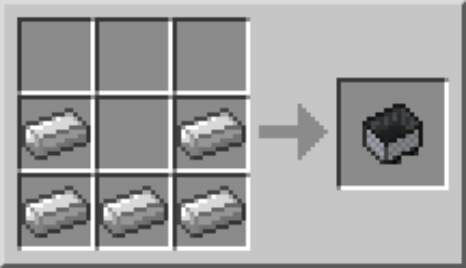 To craft the traditional minecart in Minecraft, simply place 5 iron ingots into your crafting grid. Put 3 iron ingots across the bottom row, and then 2 ingots across the middle row (with the middle box being empty). The crafting grid should resemble the shape of a lowercase u. This iron minecart texture is a gray, rectangular prism with a darker shade of gray for the inside texture. 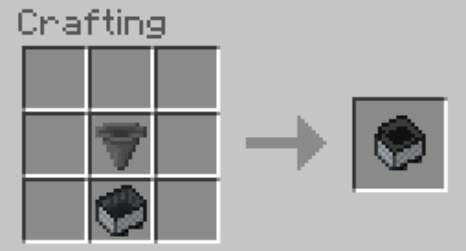 In the traditional version of Minecraft, minecarts are created using iron ingots only. However, diamond minecarts can be custom built by using diamond blocks to augment the existing iron version. There are various videos and modifications created by the community to help you do so! When you press forward on the minecart, it moves forward. A skilled player can begin pushing a minecart by walking up against the minecart (just use your W key) and then jump into it. Using powered rails (booster rails) makes a minecart go faster, and it also starts a minecart. Mobs and villagers can ride in minecarts, and you can do other things while riding in a cart, such as shoot an arrow, use a sword, or lay track in front of the cart. Minecarts can even be merged to form a train by bumping them up against each other. Carts lose speed over time, through turns, and when going uphill. Players receive no fall damage if the minecart falls onto tracks, so rails can be laid off a cliff with a new rail at the bottom, instead of trying to lay rail down the slope of a cliff. Players can jump from cart to cart by right-clicking. The minecart texture is a gray, rectangular prism with a darker shade of gray for the inside texture. 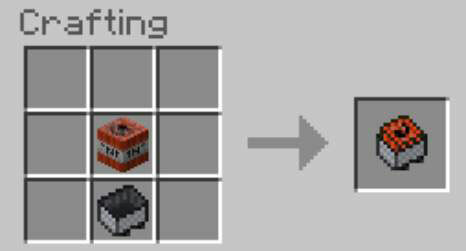 To craft a minecart, place 5 iron ingots — 3 on bottom and 2 on either side above the 3 you placed. Storage minecarts carry chests filled with items along the rails. A player cannot ride with the chest. If the minecart breaks, the chest and minecart and the contents of the chest are dropped. Many players intentionally break the minecart so that they can move it to another rail. The biggest advantage of having a storage minecart is that you can store excess inventory in a chest and ship it to another location. The largest drawback is that the minecart with chest requires more powered rails or a powered minecart to keep it moving. Many players don’t build enough powered rails in their first few attempts while working with chest minecarts. To craft a storage minecart in Minecraft, place a chest and minecart onto the grid. This recipe is shapeless and doesn’t require a crafting table to build. A minecart with furnace is essentially a train engine, and is also referred to as a powered minecart. It’s often used to push, rather than pull, as many as 4 minecarts. To craft a powered minecart, place a furnace with a minecart on the crafting grid. Again, this recipe is shapeless. Just like a train in real life, after coal or charcoal is added to the furnace on the minecart (other fuel sources don’t work), the cart begins to move (just hold your fuel and right-click on the furnace minecart). You simply right-click the end of the cart to indicate in which direction the cart should move. To switch directions, simply click the other end. Powered minecarts aren’t as effective as powered rails, but they require fewer resources to build. They’re of limited use going uphill. They also work much better with storage carts than with player-occupied carts. Each piece of coal lasts 3 minutes, allowing the average cart to travel 600 meters. A hopper picks up items and stores them in its own, internal inventory slots. When crafted with a minecart, the hopper can move under blocks placed in mid-air, picking up items placed on top of the blocks that are within easy reach. The items can be transferred back out by placing a hopper below the track. A hopper minecart travels much longer distances than do traditional minecarts. The hopper can be turned on and off using an activator rail. When the cart passes over an activator rail after a 4-second delay: Incredibly, in this situation, both the rails and the blocks under the rails are unharmed by the explosion, as is the minecart, which gets dropped from you inventory. If the cart derails and falls more than 3 blocks or if it’s destroyed while moving. If the cart catches on fire (including going through lava). (In some cases) while traveling around a curve if a solid block is placed beside the track: So watch where you lay tracks. The TNT minecart is often used as a primitive alternative to a TNT cannon. You can use it to blow up mobs from a distance, or other players in a multi-player game, or even other blocks along the way. To craft a minecart with TNT, place the TNT and minecart into the crafting grid. Again, this recipe is shapeless so simply place both ingredients into the grid for construction. An activator rail prevents a hopper cart from picking up items and lights the fuse on a TNT minecart.